5. Plan carefully. And then plan some more. 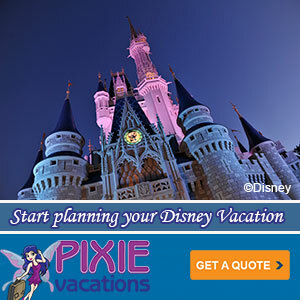 Walt Disney World covers 47 square miles. 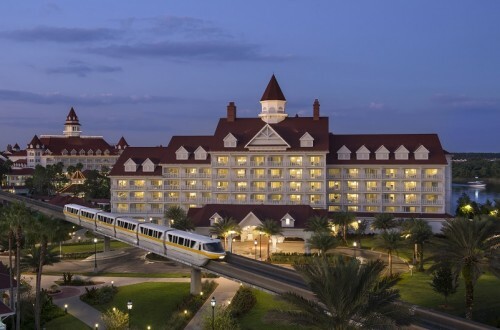 There are four parks, two water parks, Downtown Disney, golf courses, 26 hotels, and more than 200 restaurants. It’s going to take some planning to ensure that you see and do everything you want. Make your dining reservations as far out as possible. If you’re staying on property, get those fastpasses chosen at 60 days out. I’m not an over-planner by any means, but the new system under MyDisneyExperience means you really need to put some thought into your trip; fortunately, it’s also very easy to do and doesn’t take that much time. The corollary to this, of course, is that if you over plan you’re going to lose your mind, especially if you’re traveling with a larger group. So make that spreadsheet, use your MDE account, but take it all with a grain of salt. Sometimes you just have to let the magic happen. Of all the things I wish I’d known about fifteen or so years ago, is how affordable DVC is to those who plan a trip to Disney World every year or so. I had a friend who was a member, but never thought about taking the leap ourselves. The point is pretty moot now that we live in central Florida. But the parental units would have enjoyed having a yearly vacation to see the grand kid essentially paid for in advance. Everybody has to discover and come to their own conclusion about the cost benefit of joining the Disney Vacation Club on their own. The numbers make sense for some people and just never line up for others. But now the DVC is sweetening the pot with even more magic for its members with the launch of Membership Magic. Membership Magic is a new program designed to introduce numerous enhancements for members, create exclusive vacation options across multiple Disney experiences and provide special, money-saving discounts for members to enjoy. The first wave of experiences has officially rolled out, but members can expect to see several ongoing enhancements in the months to come. Staying Off Site? How The New Fastpass+ May Change That. I’m down here in Disney World right now for Disney’s Earmark Conference, which is a conference for Disney travel agents, and I’m writing this from the balcony of my room at the Contemporary Resort–not a bad place to write, although the castle is a bit distracting! This trip was my first opportunity to try the Magic Bands, as they’re still in the testing phase. They’ve been rolled out to most resorts at this point and should be resort-wide sometime in October (this can change), but I wanted to share some thoughts on using them with all of you. First, let me just explain the bands for the uninitiated. 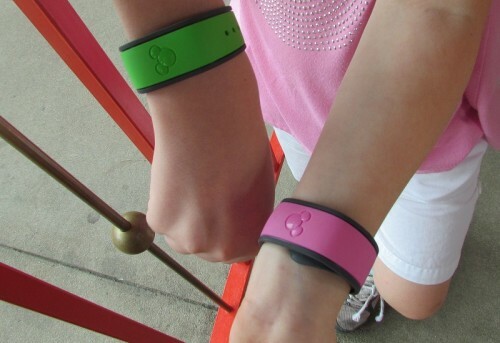 The bands are literally that–wrist bands (similar to plastic wrist watch bands, but without the watch face) that will hold all your pertinent information, from where you’re staying to how many dining credits you have left on the Disney dining plan. They’ll have your room key, credit card information, and tickets on them as well. You’ll be given a pin as well, which makes it more secure for credit card transactions. All your information is stored on the system, meaning that Disney can tell if you like Mickey bars at 11:00 p.m. and send one to your room. Or, more likely, they can use that information to customize marketing towards your likes. In the future, there will even be sensors in the parks that track movements for crowd control purposes. There’s one thing Universal Orlando wants you to know. 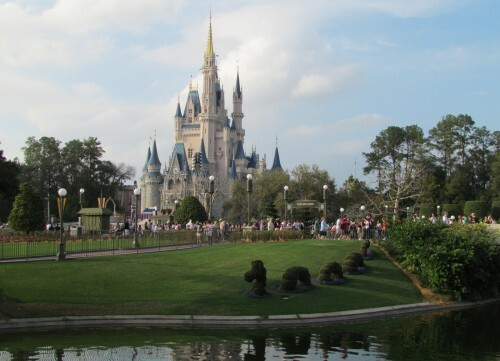 It is not content playing second fiddle to Disney’s Orlando theme parks. They want to challenge for the lead, well, they at least want to close the gap between them and Disney’s least attended park. Disney’s Animal Kingdom attracted 9.9 million last year and Islands of Adventure just 8.0 million. Universal Studios Florida did not experience the same boost as IOA did with the addition of Harry Potter, but they’re making up for it in 2013 with a better parade, Transformers 3D, and soon more Harry Potter with Hogwarts Express and Diagon Alley. But even if you add in all that additional ride capacity it won’t be enough to match the people eaters that are Disney’s parks. So Universal has committed to spending $500 million more on its domestic theme parks. 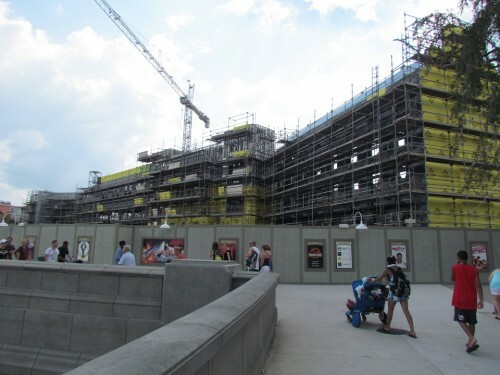 We know that Universal Studios Hollywood will get a Harry Potter attraction or two (construction walls are going up now). But what does that mean for Orlando? How about two new rides for Islands of Adventure.